Happy March! 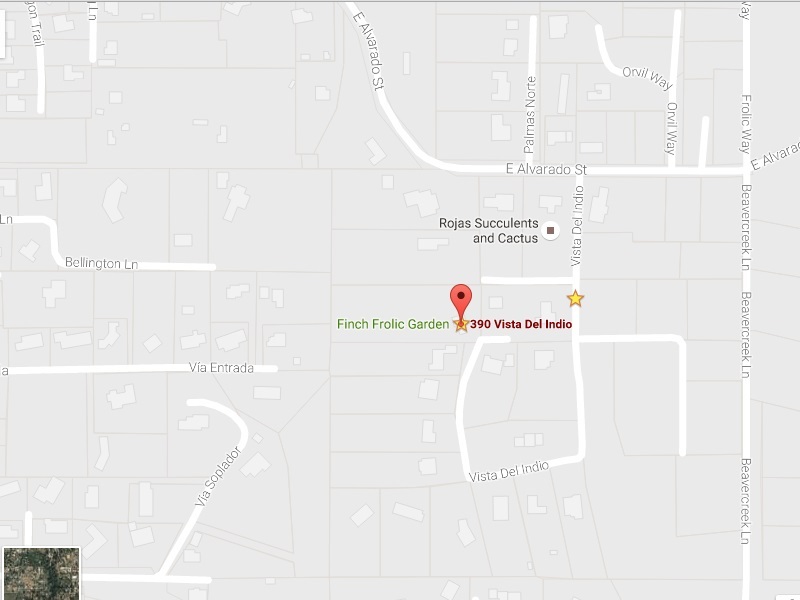 Finch Frolic Garden is officially open, and the trees are bursting into leaf and bloom. Birds are twitterpating and the ten inches of rain we’ve received since October are slowly working through the soil thanks to our earthworks. 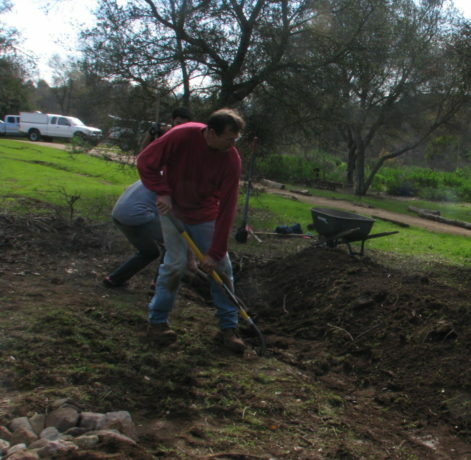 Here’s an opportunity to learn just how to create accurate swales and hugelkultur so that they work. 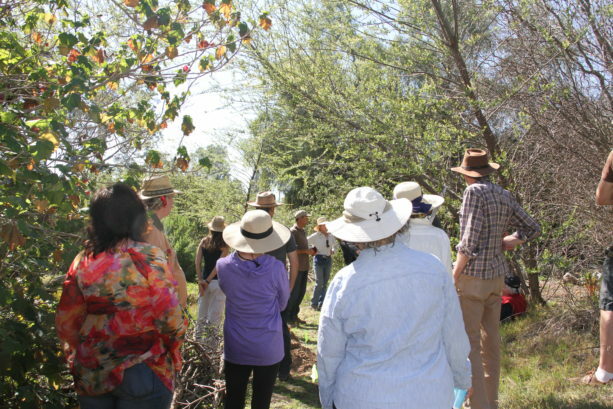 Saturday March 11th from 1 -4 we have the privilege of having Alden Hough from Sky Mountain Permaculture hold our first monthly workshop here in the garden. 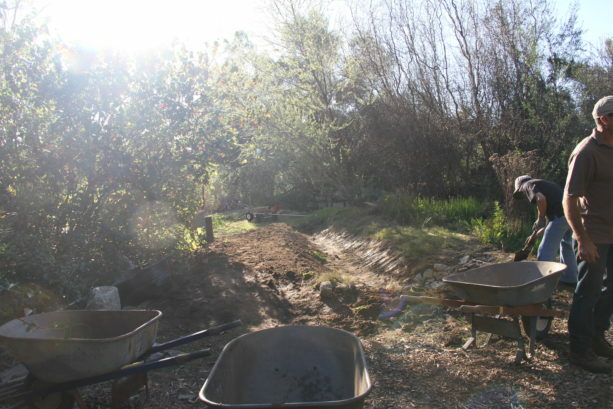 Alden has years of experience with building earthworks on all scales, from guiding excavators across hillsides to hand-dug. 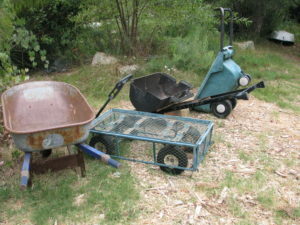 Alden will describe how to build swales and hugelkultur beds, show off equipment, and then its hands-on in the garden. 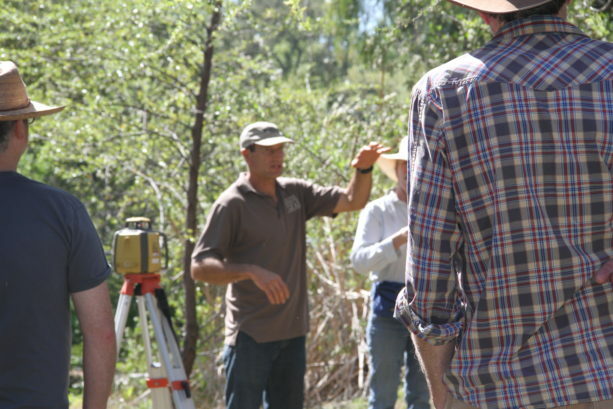 You’ll learn how to use a laser level and a bunyip, and get the feel of how to build on contour. 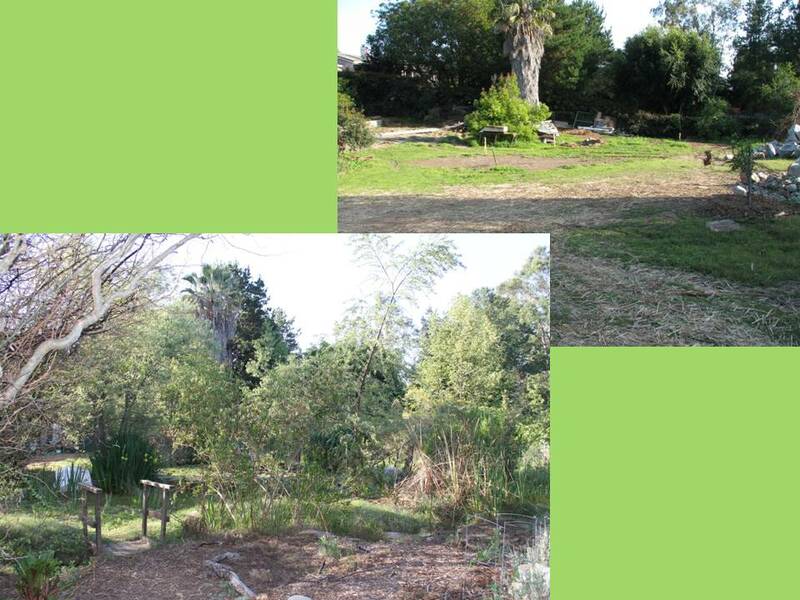 Bring your gloves and be prepared to have some fun creating earthworks, so that you can do it properly on your own property. The workshop fee is $20/person. Please RSVP to dianeckennedy@prodigy.net. Wear appropriate work clothes and sun protection. Complimentary vegetarian refreshments will be available. 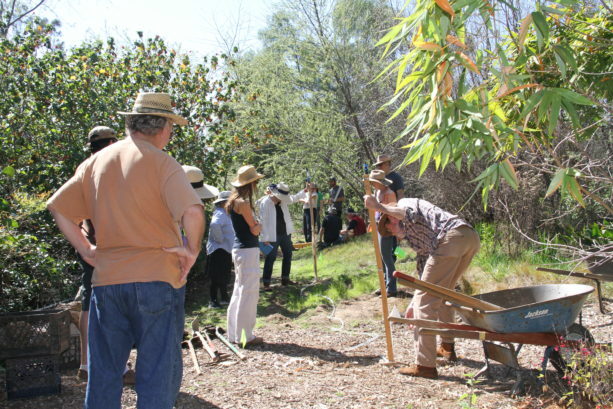 Attendees may stroll Finch Frolic Garden as well. Don’t wait! 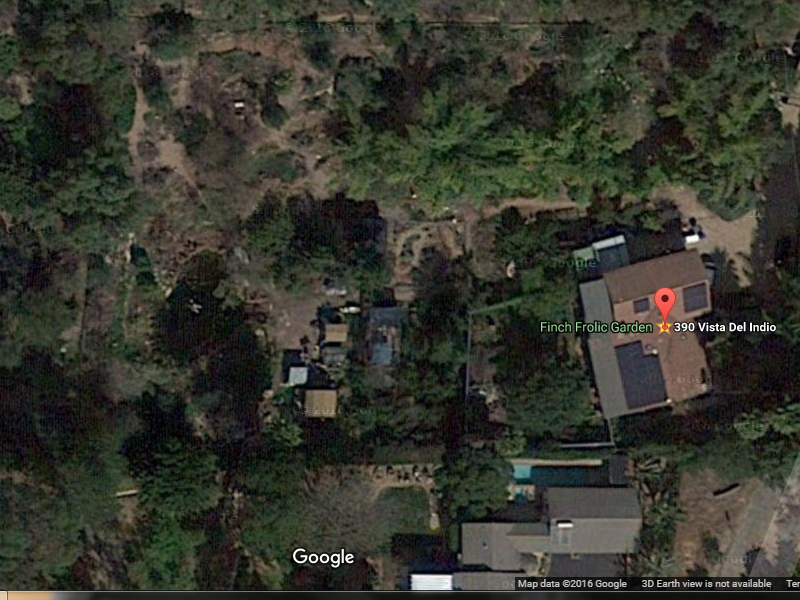 Google Maps view of property lines. Before you start buying pipe, make your design. 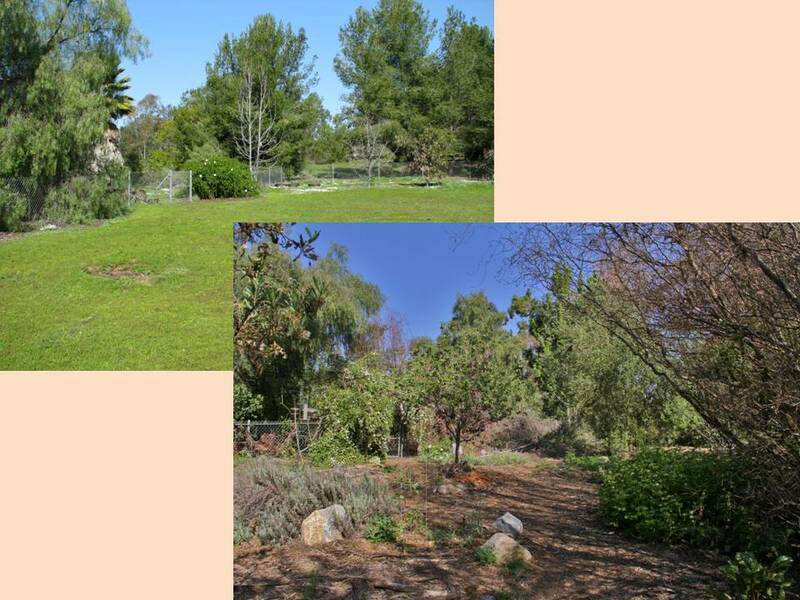 If you are new to the property, evaluate the plants and features that exist and decide if you really want them or not. 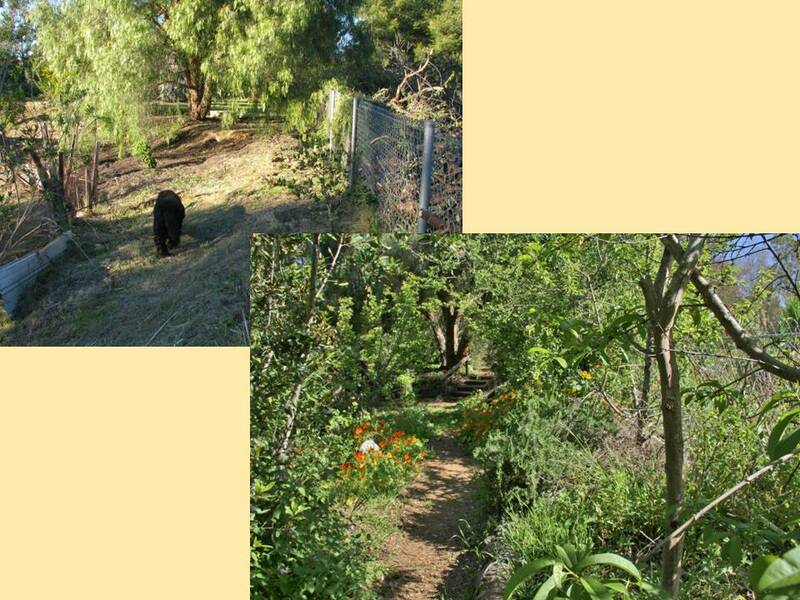 Use the ‘three positives’ rule in permaculture: everything in your yard should give you at least three positive things. 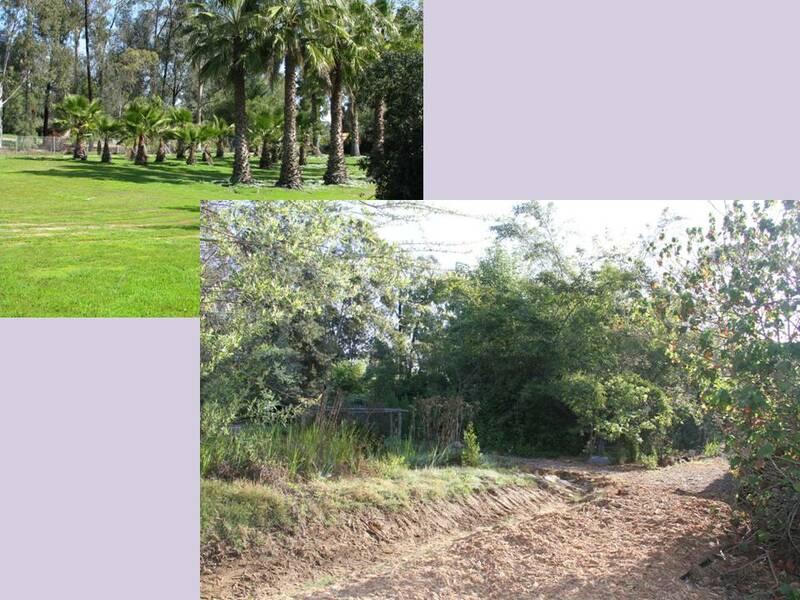 For instance, you have a eucalyptus tree. It gives great shade, it is a great roost for larger birds which keep down your mice and rats, it drops lots of leaves for mulch, etc. On the ‘negative’ side, they are really thirsty and they send their roots out in search of water. 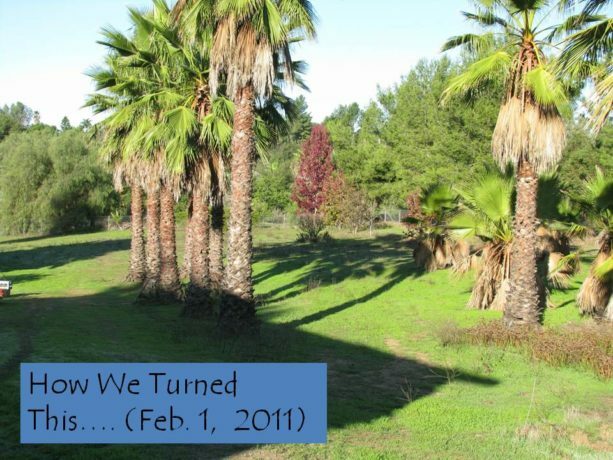 They will go to the nearest irrigation and drink from there, robbing water from the tree you are trying to water. They are also allelopathic, meaning that they produce a substance that discourages many other plants from growing, or growing successfully, under or near them. Their root mass is so thick close to the surface that very few plants can survive. 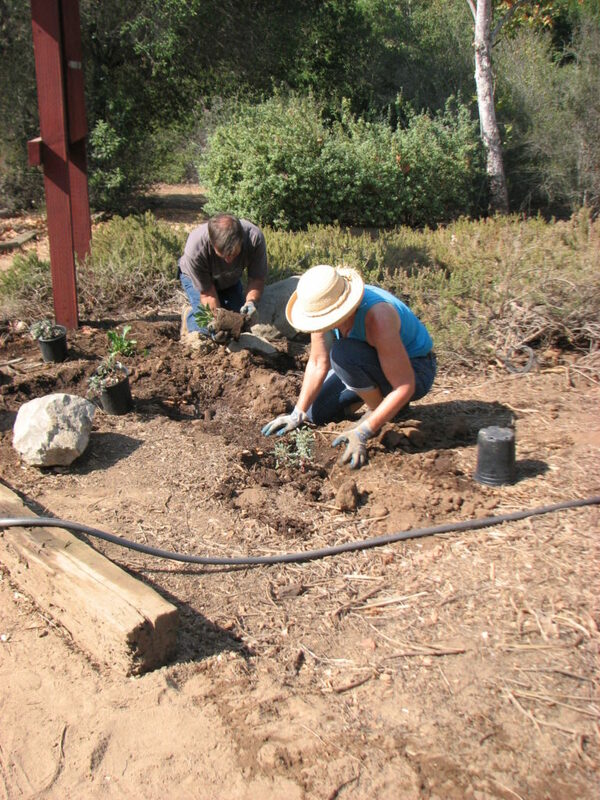 If planted in the wrong spot they will block views, hang over the house, drop those leaves, peels of bark and depending upon the species, heavy branches, where you don’t want them, get into overhead wires or underground leach lines, etc. They don’t make good firewood or building material, and are highly flammable. How does the tree weigh in? Usually eucalyptus are all negatives in my book. Only if they are providing the only shade and bird perches for a property are they useful. Even then I recommend pollarding them (reducing their height) and trying to ‘nursery in’ other better trees to take their place. 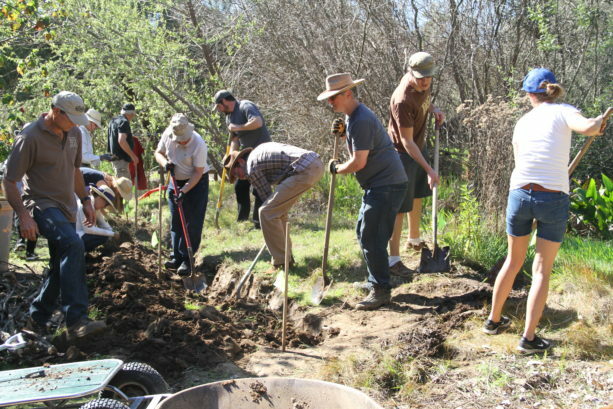 Cut trees then should be buried, as in hugelkultur. So evaluate what you have using the three positives rule and don’t be too sentimental if you don’t like something. Do you like them? If not, cut them and bury them to fertilize plants that will serve you, and yes, aesthetics is very much a plus. If you love a particular plant, then if its possible, plant it. 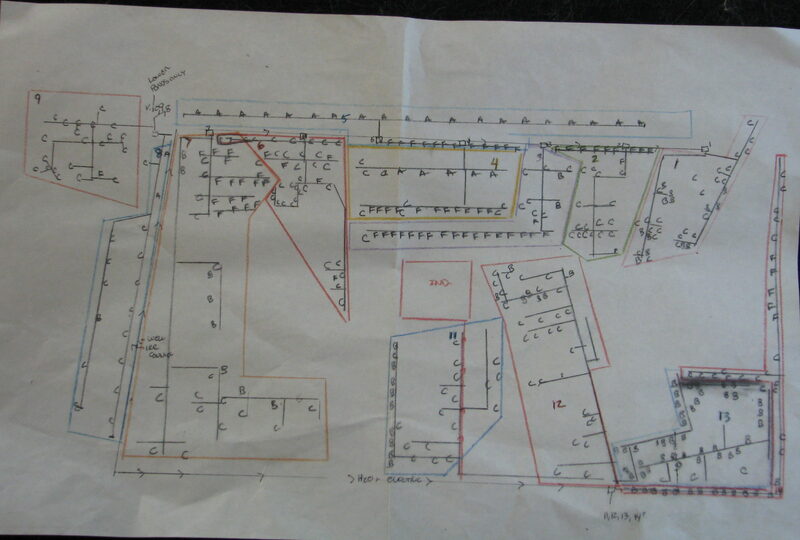 If you have a property that is a blank slate, your irrigation diagram will follow your plant design. 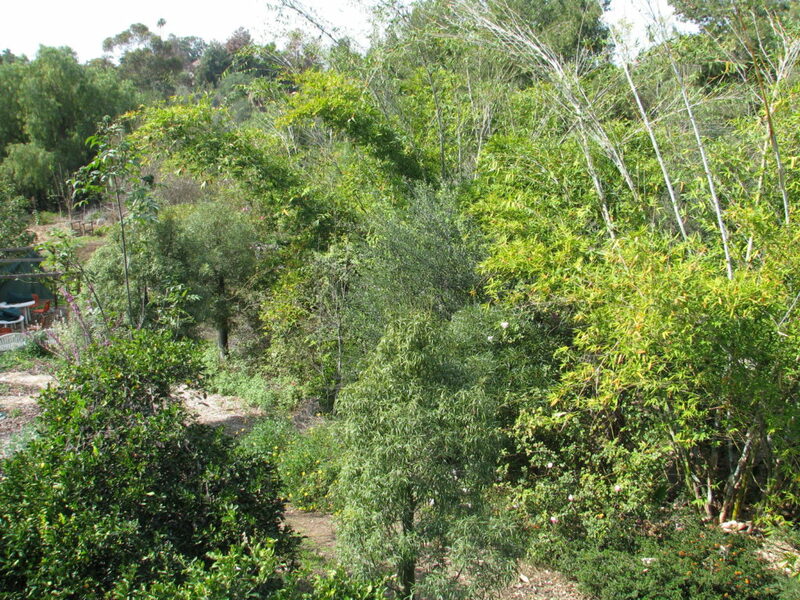 If you have an existing landscape, as I had, you need to map out where all the trees and groupings of plants are, what their water needs are and keep in mind the way water runs past these plants when you do. Use Google Maps. Type in your address, find your home and zero in on it until you can clearly see the boundries of your property. At the bottom right hand corner of the screen is the key that show how many feet are in a measurement. This line may not always equal an inch, so measure it! 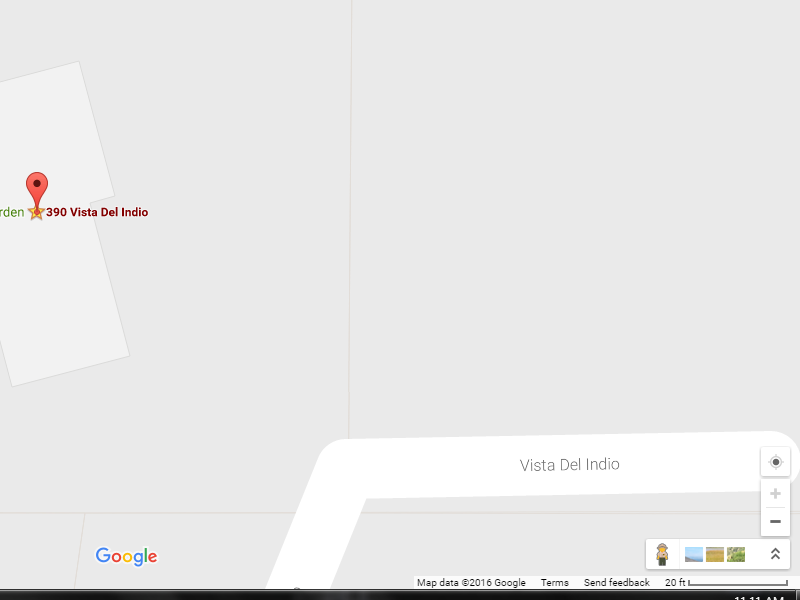 At the lower right Google shows you a key for distance. There is a line with a number above it. This shows you how many feet are represented by that length. Don’t assume that the line is one inch! The line will adjust, so put a ruler up to the screen and measure it. I zoom out until the line is an inch long, and take that number; its just easier to compute distances using an inch rather than a fraction. 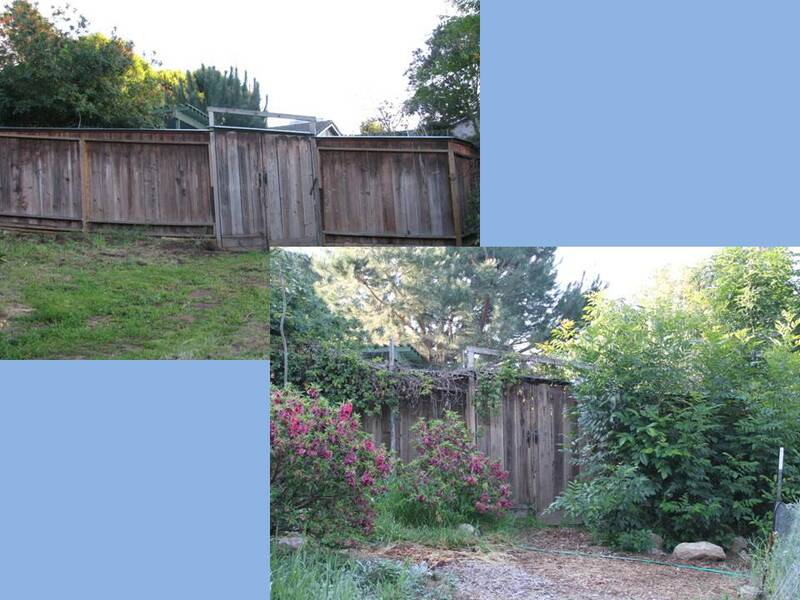 You can print that diagram of your property line, which will show you which way your house sits on the property. 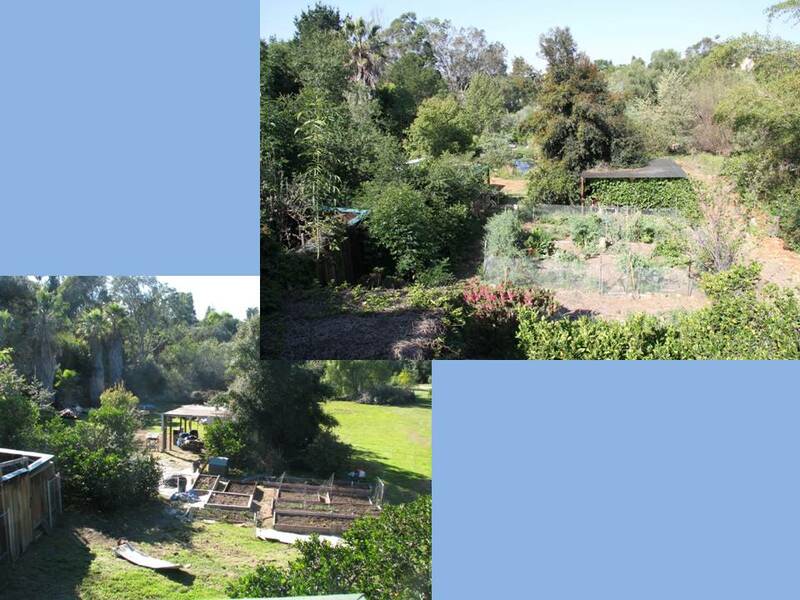 Satellite view of Finch Frolic Garden. 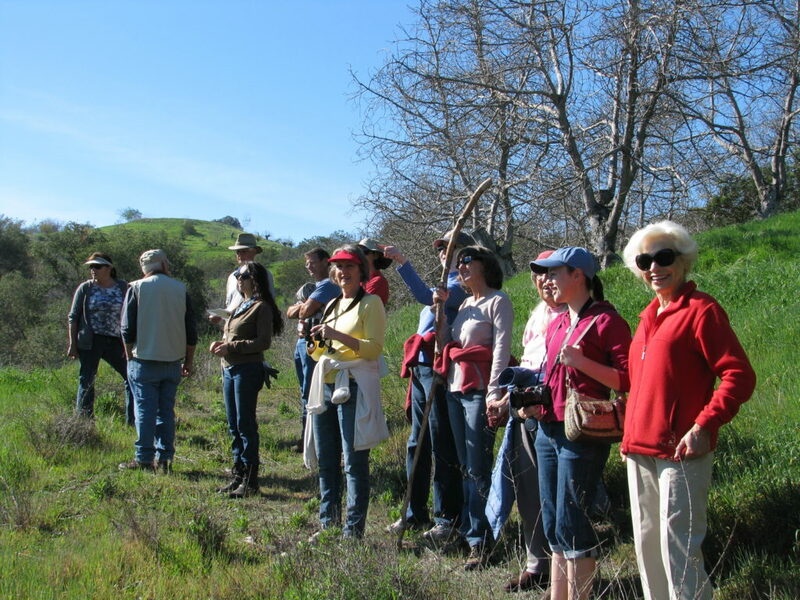 This helps to map groupings of vegetation. I have a PC, so I press the PrntScr (print screen) key, paste it onto a paint.net screen, crop off the extra bits and print that. Now you have something to work with. I double or triple the size of the drawing onto a larger sheet; this can be done easily with a ruler, using the printed sheet to guide your angles. 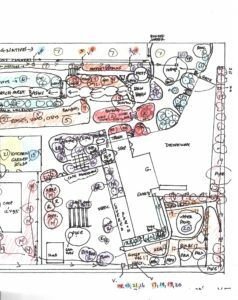 A projected irrigation plan for Finch Frolic Garden. What you actually put in may differ. Make a couple of copies of this template, and then use one to start drawing. When you have the plants down on paper, then start with the irrigation. Determine where your water main is, and where any valves and hose bibs are around your house. If you only have domestic water to choose from, you’ll be coming from a domestic line. Fifteen to twenty sprayers are good per valve. 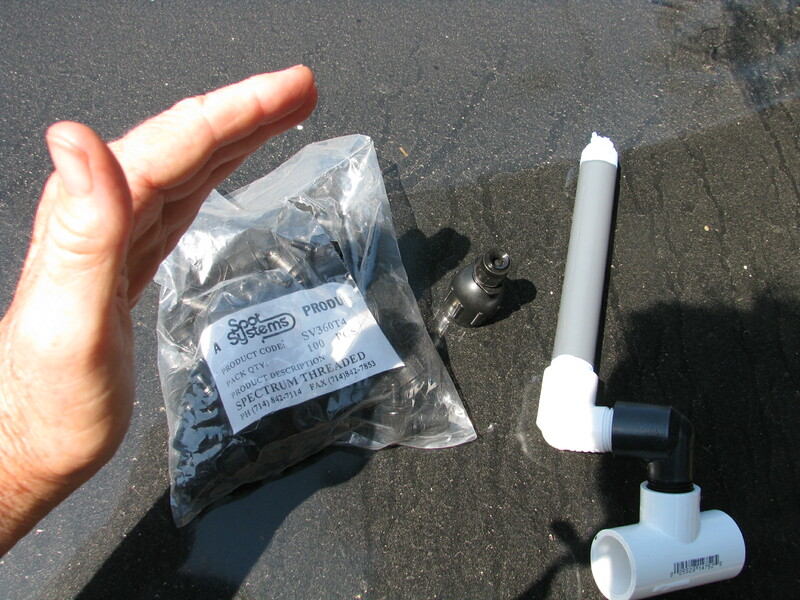 I’m not talking about high-pressure nozzles that shoot water all over the place; these you want to eliminate. Most of that water is evaporated. The sprinklers that we installed have a spray of up to 4 feet, and can be reduced down to a drizzle. With this configuration the risers are resistant to damage from being kicked, from having 100-lb. tortoises crawling over them, etc. 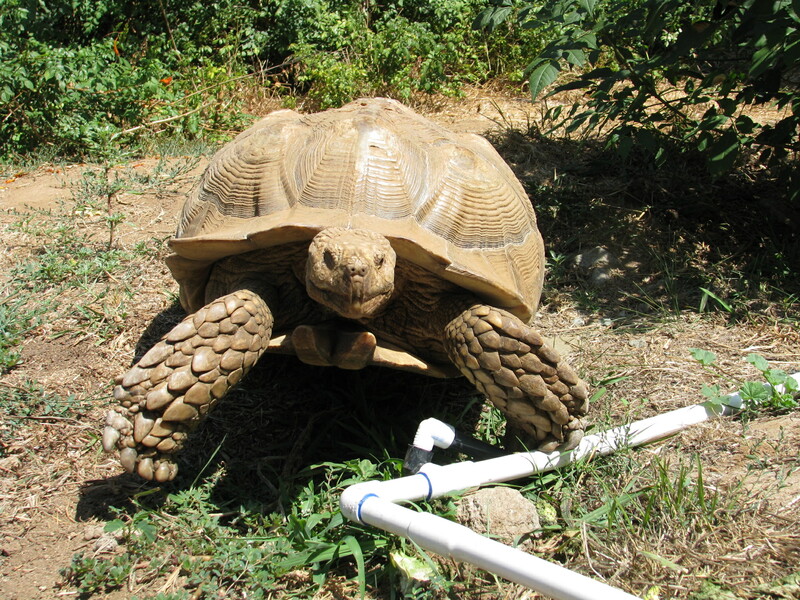 Gamera enjoying the movable sprinklers. 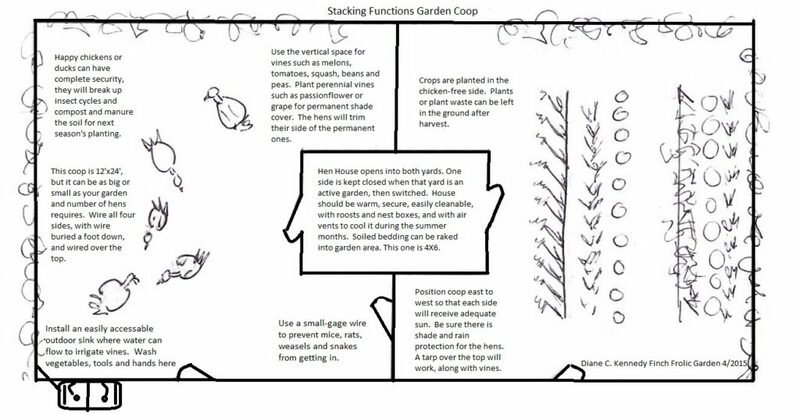 They can be moved in all directions so that you can deliver water closer to small rooted new plants, then move them away as the root ball grows. If you have the assembly ready when you glue in the T, then you won’t have to struggle to screw it on. Ends will have a slip/thread elbow glued sideways with the same assembly. There are lots of sprinkler heads out there. These sprayers have threaded ends rather than barbed, so that they stay in place rather than be blown off. These are 360 degree sprayers; you can obtain threaded sprayers for 180 and 90 degree, and probably other configurations as well. A 180 degree head. Notice all the white? That is mineral deposit, and the sprinkler has run only about 10 -15 times. Don’t forget the filter. A filter in every head saves you a lot of grief with plugged heads and poor irrigation down the line. They are easy to clean. Next post: Concluding the project. You can read Part 1 Options here, Part 2 Evaluating Your System here, and Part 4 Conclusion here. 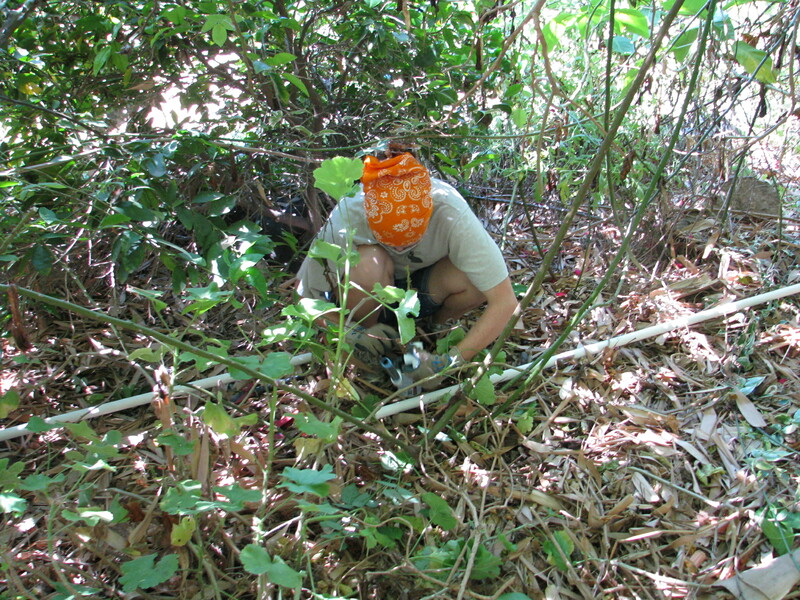 Miranda in the roses gluing pipe. If you have an existing irrigation system that works, you may easily convert it by adapting the heads for whatever you want to plant. Many lawn conversions I’ve designed utilize the existing spray system, particularly for natives, but with a different watering schedule. Don’t spend money when you don’t have to. If you have an old grove that is to be converted and downsized, you’ll usually have far more pressure in your system than you need for smaller heads which may cause them to blow. Working with an irrigation specialist for the valves and pressure is advisable. 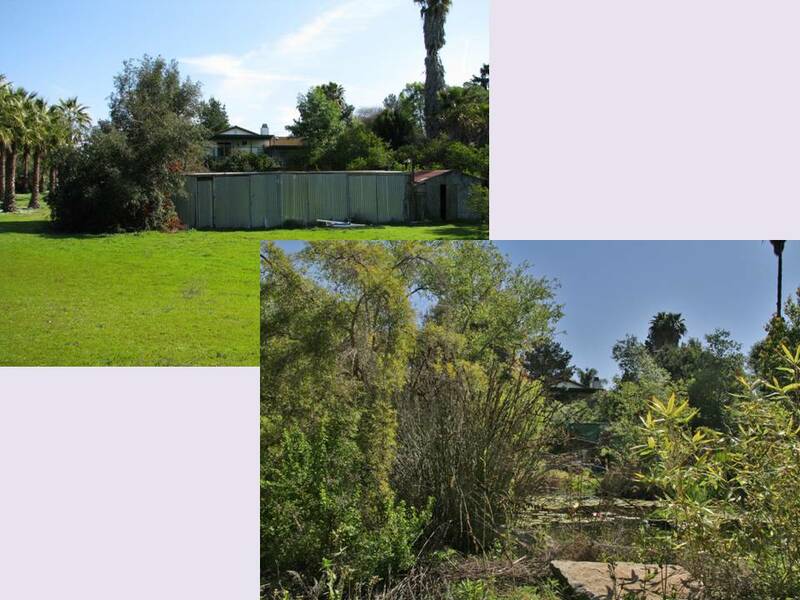 For this re-irrigation project of Finch Frolic Garden, I found Vista-based John Taylor of Taylor-Made Irrigation and Landscape, 760-945-0118. He’s the first person to listen to and consider what I have to say, based on my experience with the old system, and he adapts to different situations. 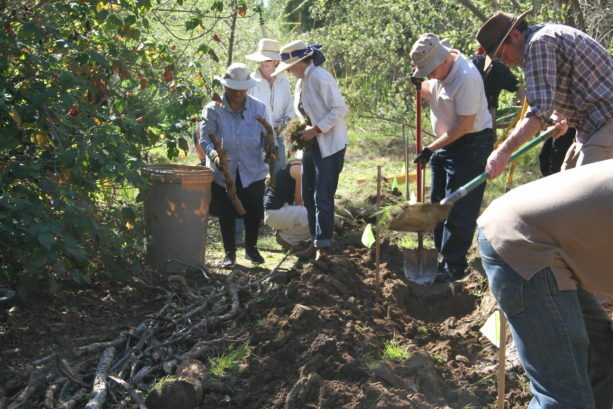 I’ve learned some cool new things that I will pass on to you, and he’s enjoying learning permaculture techniques, which will help both him and his landscape clients. 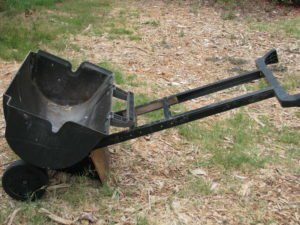 Here’s a little world-weary advice from someone who trusts too easily: Many professionals no matter what their field have one set way of doing things that they apply to every situation, be it irrigation, plant selection, tree trimming, construction, etc. 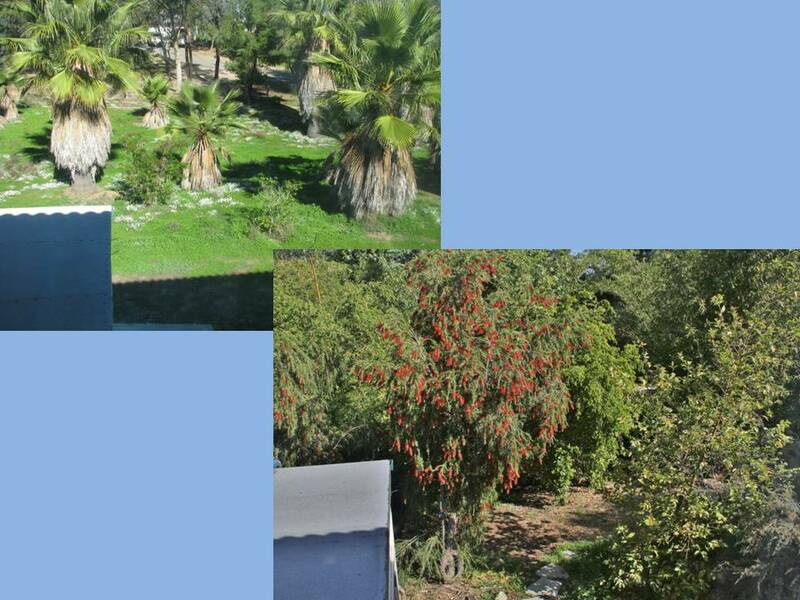 (My neighbor has his poor coral tree topped every year. Topping trees is a bad practice. When I asked him about it, he said that his tree trimmer has been topping trees for years and recommends it, so he’s talking his expert advice! Do you see the problem here?) You, I’m sure, have dealt with these people too. Every situation needs a different solution, so look for someone who is flexible, listens to you, can offer several solutions with various price ranges, and who will give you a detailed estimate up front. Jobs will always run over, but they shouldn’t run too much over and the professional should be determined to keep on budget, and honest with you when there is an overrun. If you ask a professional to do extra things, the new tasks will need to be added on to the original contract because it will take up part of the time allocated towards the original project, so the project completion date will be moved ahead, and will add on to the total cost. On the other side, if your professional adds on projects that he thinks you’ll like, and you give him the verbal okay, realize that he’ll be working on those projects in addition to the original tasks, so it will take longer and cost more than the original contract. Look for people who don’t consider telling you their life story part of the time for which you are paying. If you tell them your life story, remember that they are on the clock and you are paying for that time. (I’d rather deal with a quiet, focused professional than a chatterbox who will talk more than work. If he’s not talking to you, he’s probably on his phone a lot while on the job.) Look for neat vehicles with organization, letterhead for estimates and invoices, someone who shows up on time when they say they will, and stays until they are done. They should schedule in their lunch; if they work through it they are not going to work well for you later in the day, and its unprofessional. Its okay for professionals to handle several clients at one time, but only if they are well organized and are eager to finish your project on your timeline. Contractors are infamous for tearing something apart the first day, then disappearing for days or longer holding you hostage while they work on other projects. Its okay to ask about all of this, and really important to read reviews. Don’t always rely on people your friends have recommended; I’ve had both really bad and really good referrals, so make up your own mind. Extreme mineral buildup in a PVC pipe. Photo from http://www.marinechandlery.com/. Back to irrigation. 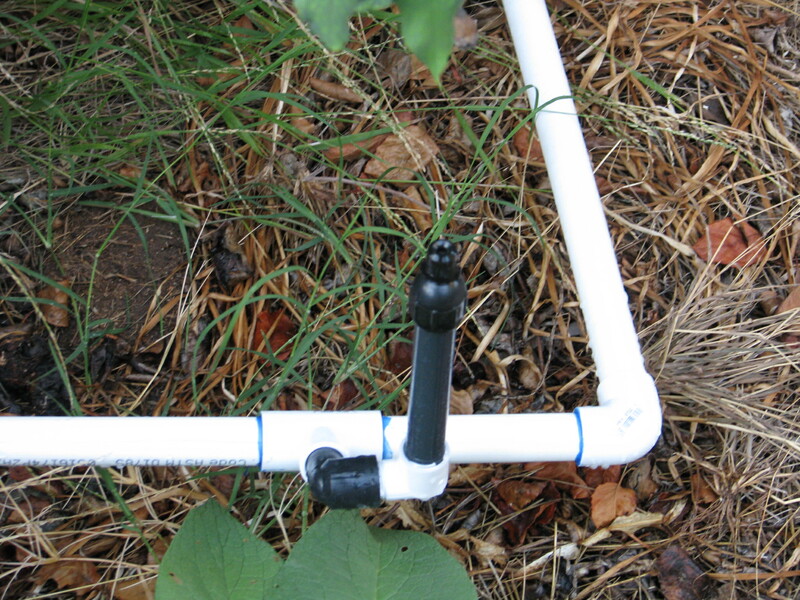 Most irrigation is PVC, the white plastic pipe. 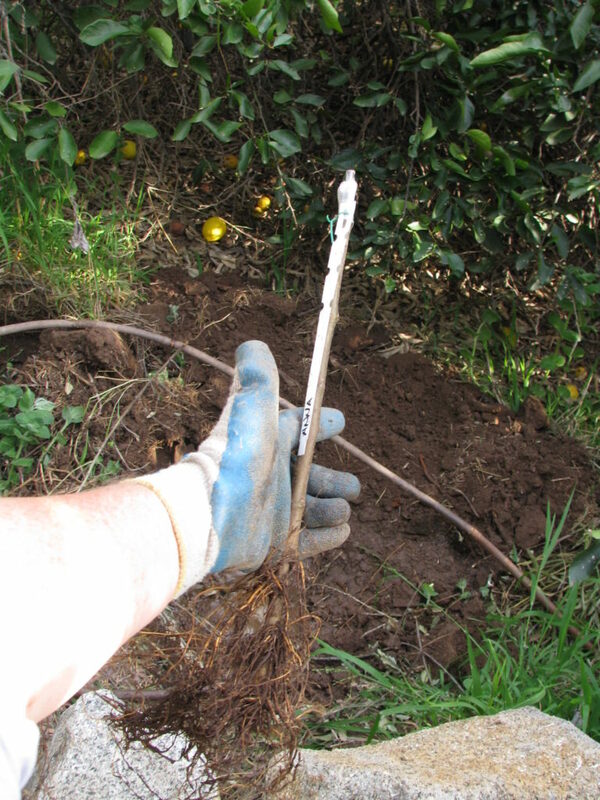 If you have old buried metal pipes they should be examined for leaks. 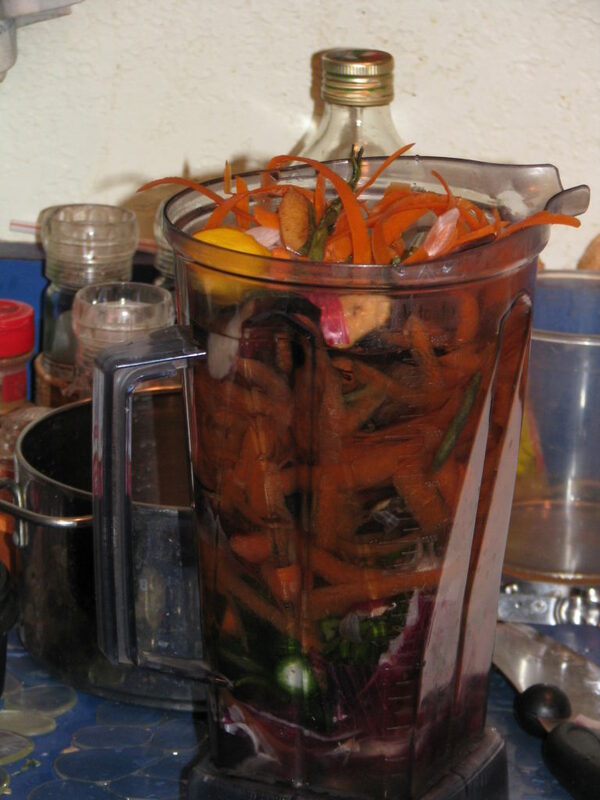 Mostly they will fail to function due to mineral buildup due to our hard water. The inner diameter of the pipe closes; if you’ve ever cleaned your shower head or seen house drains with the thick white inner coating, that’s what I’m talking about. 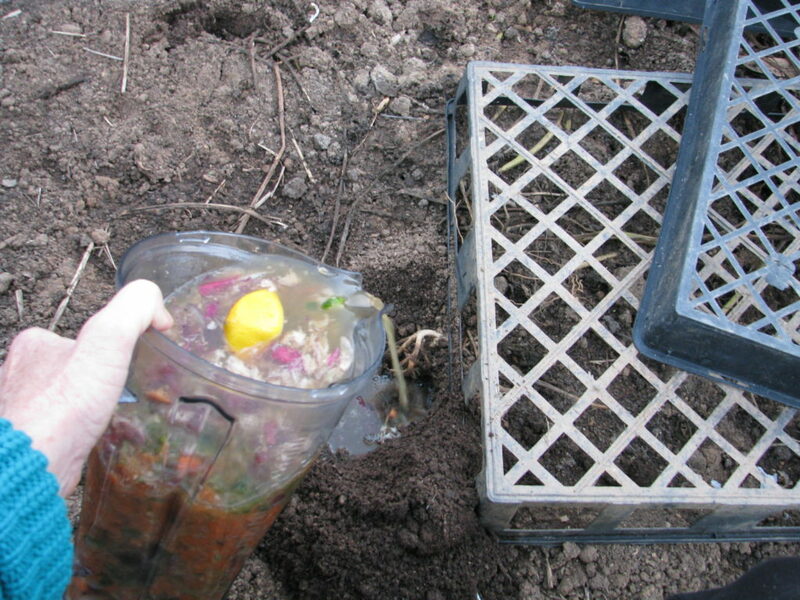 It will slowly dissolve in vinegar, but the vinegar must remain in the pipe to soak it for awhile, then blown out an open riser to get rid of the chunks. All sprinkler heads must be decalcified as well. 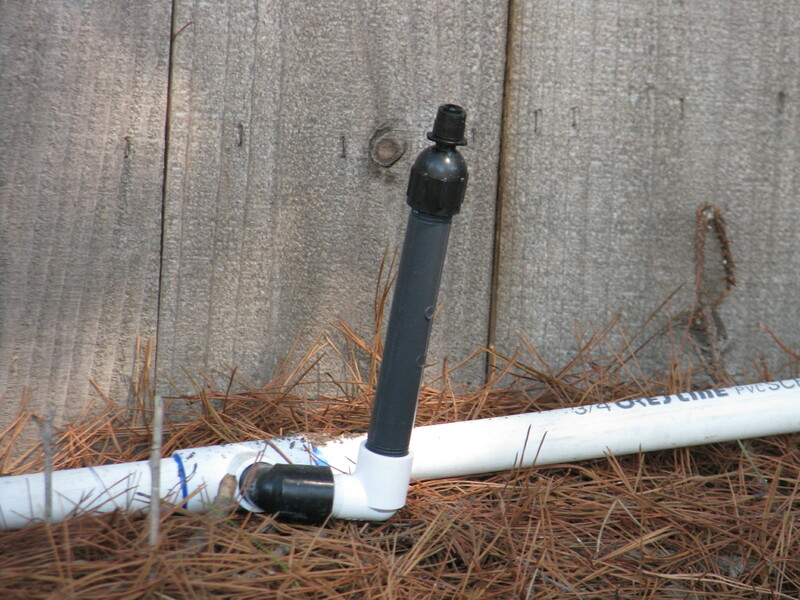 Often the buildup is so old that the pipes are deteriorating and just need to be replaced, usually with PVC. 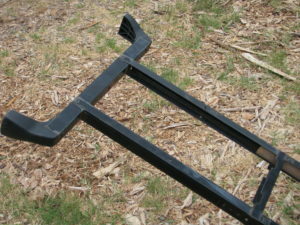 The galvanized pipe can either be left in the soil to gradually rot, which is fine, or else be dug up and sold for scrap. 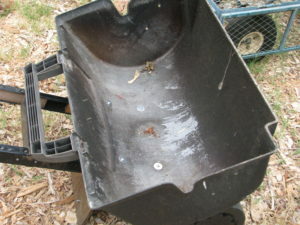 The labor cost involved with digging it up will probably be more than what you’ll get for scrap. Here’s some understanding of water. The reason why domestic (potable) water is chlorinated is not to purify the water. That has already been done before it gets into the delivery pipes. It is to keep biomass from forming inside the water pipes. 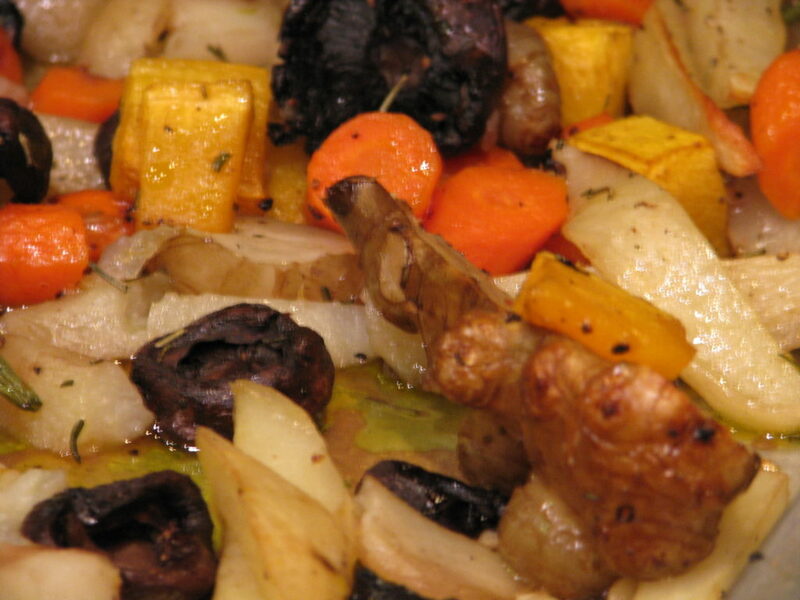 Biomass is any type of growth that forms, usually in wet conditions. 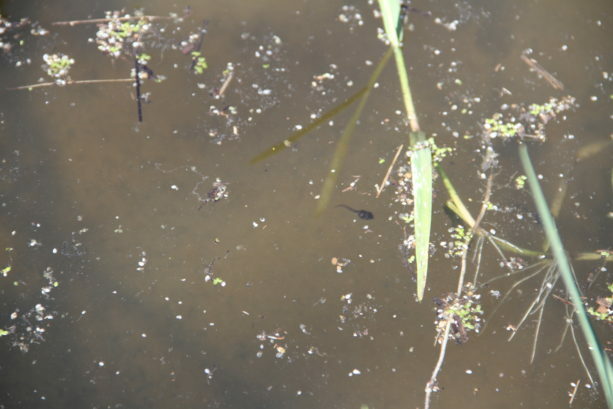 Think of algae inside a fish tank or on the inside of a pool. 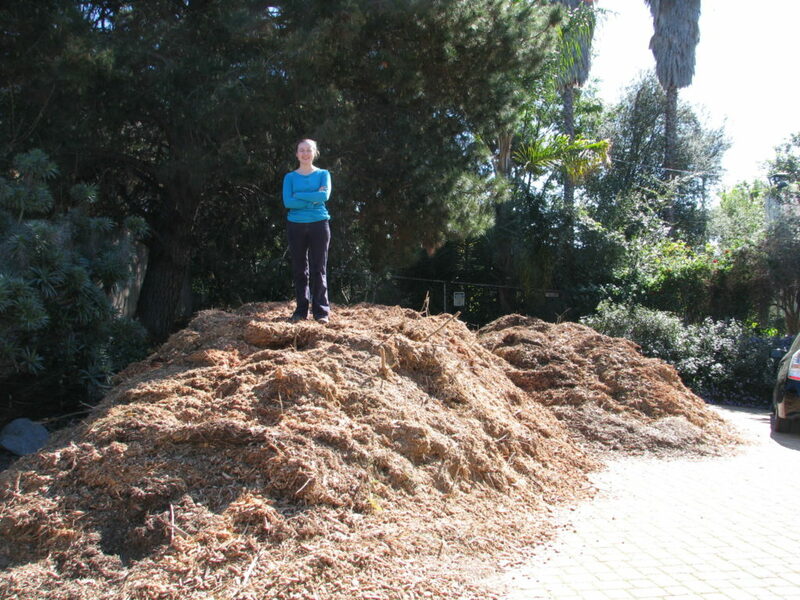 Biomass is nature’s way of filtering and softening hard surfaces, and in nature is essential. In man-made pipes, the biomass can not only harbor things that can make humans sick, but also slows the flow of water. 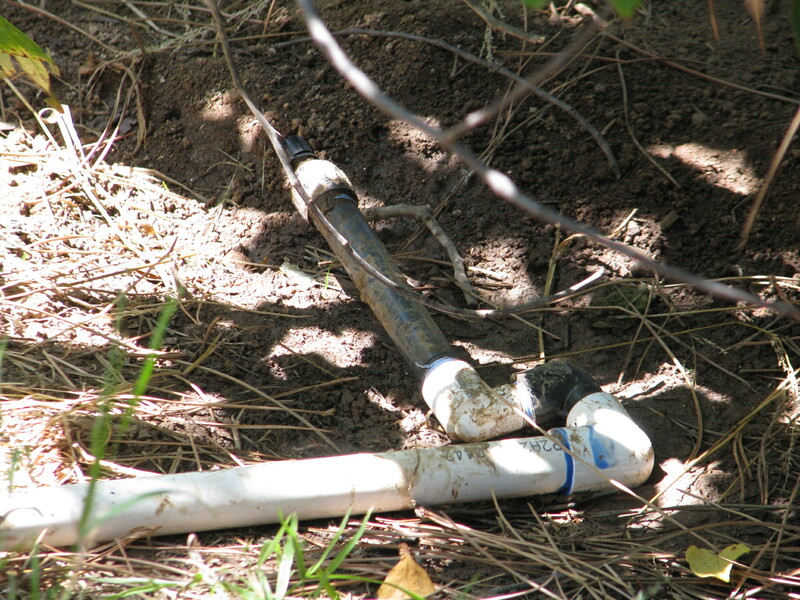 Garden hoses have some biomass inside of them, and any rough part will slow the water pressure. Lengths of any kind of pipe are the same. The longer the pipe, the slightly less pressure you’ll have. Pressure is important because you want your sprinkler heads to spray, not just dribble (unless you set them for dribbling). 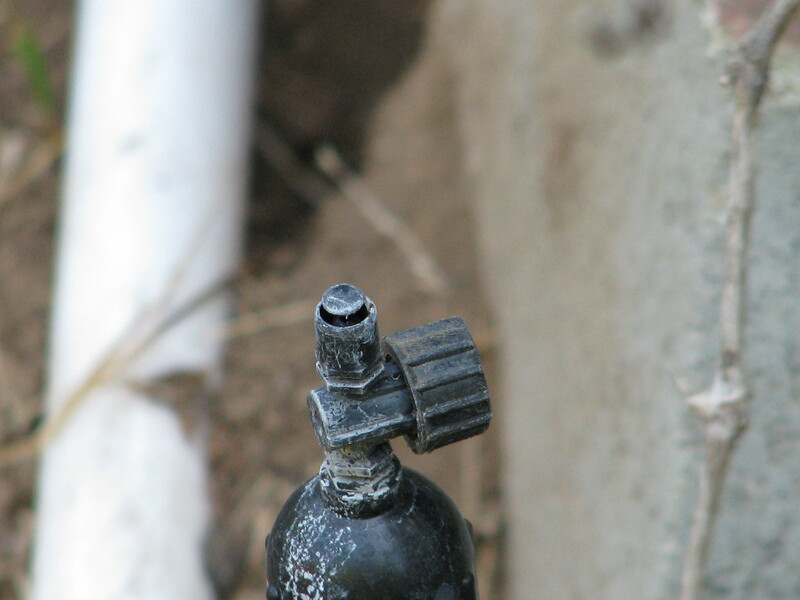 Pressure regulators are set in sprinkler heads, Netafim, and valves to keep lines from blowing out under normal pressure. 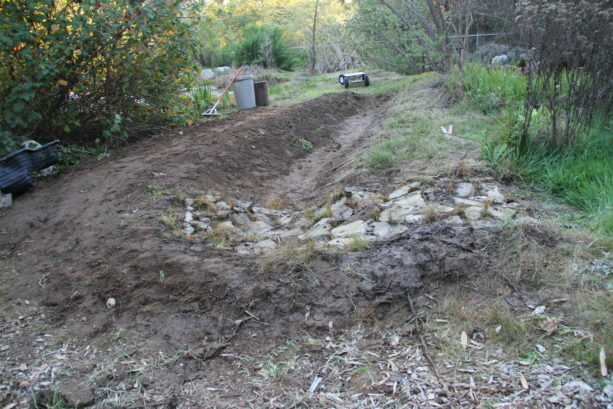 If you don’t have an irrigation system set up for a large grove or large grasslands for animals, which require enough pressure to shoot water great distances, then you shouldn’t worry about the lines blowing out. But understanding about pressure and the effects of biomass and distance will determine what size pipe you lay. 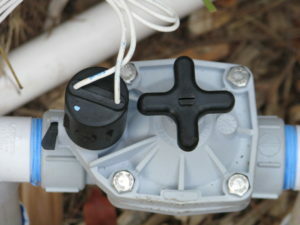 Most people use domestic water for irrigation. 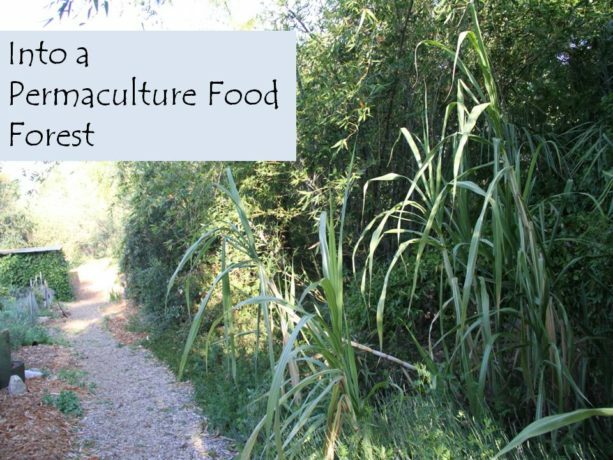 Some rural areas have agricultural water available for commercial growers. Some people have well water, which is what I have. 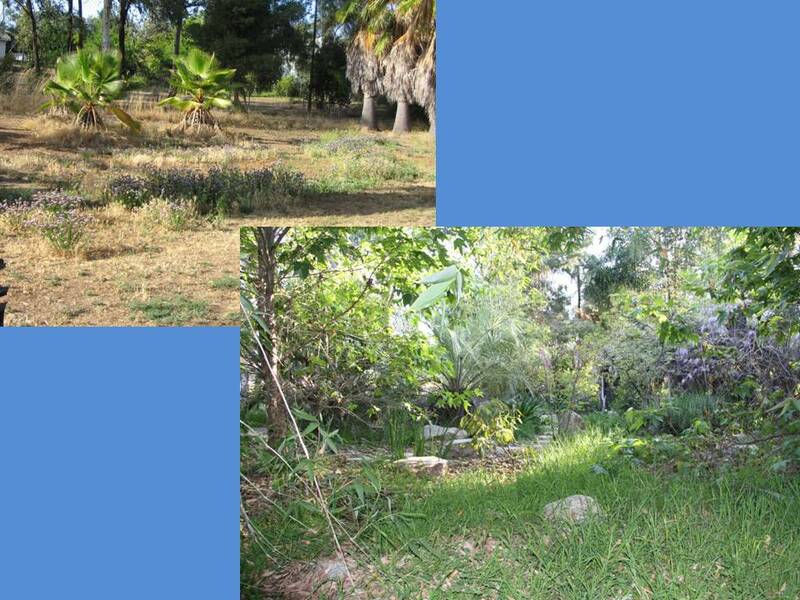 Well water has not been treated, so whatever has leached into that water is what you are delivering to the topsoil. Have your well water tested for contaminants and salts. You should have a filter after the pump on your well. However, our heavy-mineralized water will form a oozy barrier around the diaphragms in valves. If debris or too much of this slick mineral buildup accumulates, the valve won’t ‘seat’, or seal, and will allow some water to seep through the pipes even when the valve is off. This has been a huge problem here at FFG, and one which several irrigation ‘specialists’ have completely denied. They deal with treated water rather than well water, and just don’t understand. Some valves have diaphragms that can be very carefully cleaned and replaced, but not frequently before they are damaged. 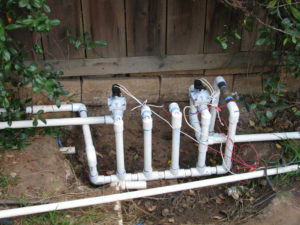 If you have a well, check with an irrigation specialist who has real-time experience with well water and valves to recommend the appropriate valves and filter system for you. I’ll talk more about the ones John recommended for FFG in a later post. Large-diameter pipes will carry lots more water more slowly. 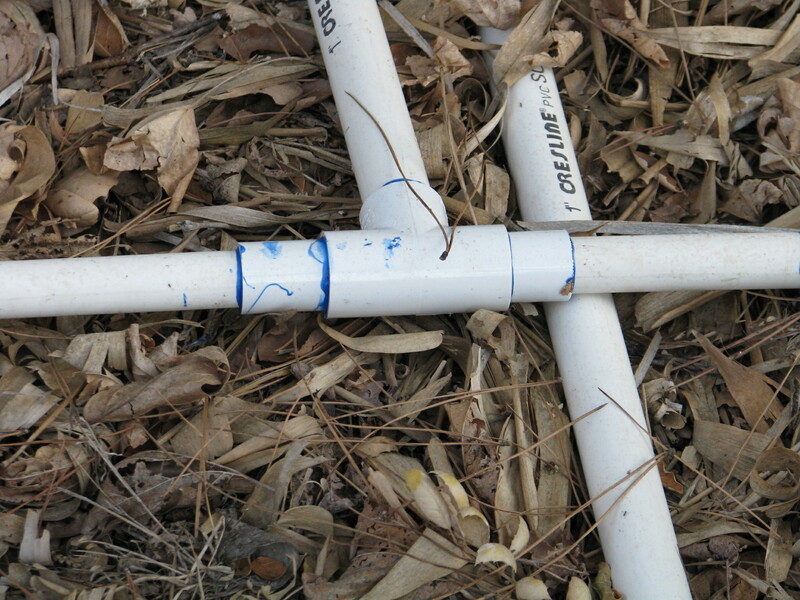 Small-diameter pipes carry less water more quickly. If you lay out large diameter pipes from your valves, let’s say 1″ pipe like we’re using at FFG, then you can reduce the size of your pipe gradually to your sprinkler heads and that will be the best of both worlds. You will have volume of water and increased pressure. 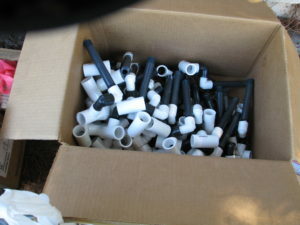 So John has recommended that we use 1″ PVC from our valves, which are connected to the well with 1″ PVC already. 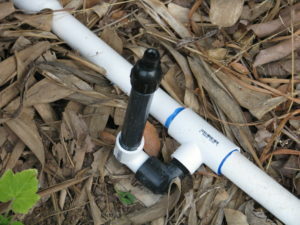 Then we reduce the pipe to 3/4″ at the nearest T, or closest to the first sprinkler head. Then the sprinklers are reduced down to 1/2″. Since our well is at the bottom of our slope and water needs to be pumped back to the top, this design really helps keep the topmost systems pressurized. This sprayer is reduced from 3/4″ to 1/2″. So as you are laying out your garden and irrigation system, understand about slope, water pressure, volume of water and your water source. 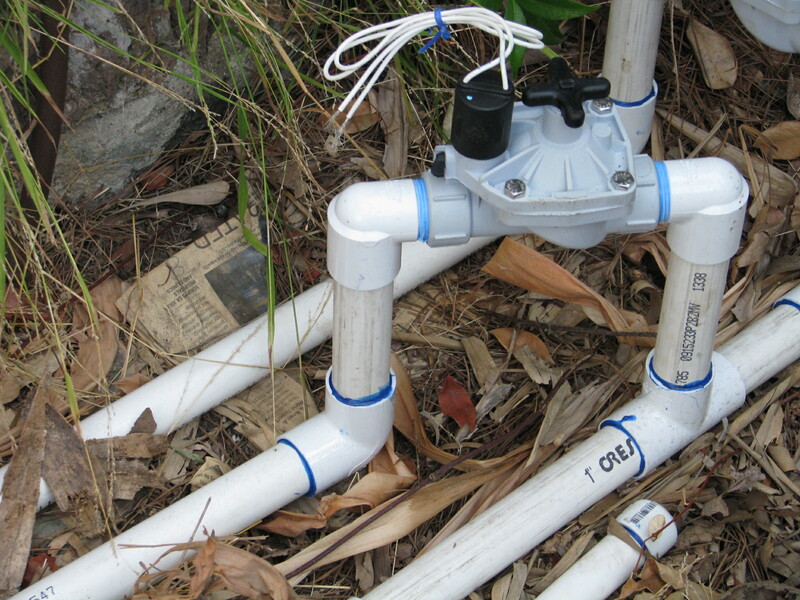 These factors all have large parts to play in the long-term success of your irrigation. Next time I’ll discuss drawing up an irrigation plan. You can read Part 1 Options here, Designing Your System Part 3 here , and Part 4 Conclusion here.